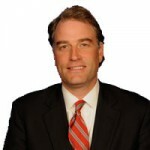 Former Fifth District Congressman Robert Hurt will lead the new Center for Law and Government at Liberty University. Representing all Fifth District Virginians for the last six years has been a great honor and an opportunity for which I will always be grateful. President Obama once again made a sweeping policy change by executive decree, flying the face of our constitutional system of government. Congress took a significant step to continue applying pressure to Iran by extending and reauthorizing the Iran Sanctions Act. Last Wednesday, December 7th, marked the 75th anniversary of the bombing of Pearl Harbor. The day following the bombing, President Franklin Delano Roosevelt addressed Congress with a speech that is still quoted today. The U.S. has been a world leader in the scientific efforts to treat and cure diseases and conditions that harm millions of people. President Obama’s tenure in office will long be remembered for his administration’s aggressive attempts to expand executive power. Thanksgiving is the uniquely American holiday when we gather together with family and friends to reflect on our tremendous blessings. Last Tuesday, more than 120 million Americans went to the polls to exercise their civic duty and right to vote. As we commemorate Veterans Day this Friday, we remember with gratitude all those brave service members who have fought to preserve our freedoms. Last week the Obama administration confirmed that the Affordable Care Act continues to break one of its signature promises. This past week, I had the privilege of joining the Pittsylvania County Farm Bureau for their annual meeting in Chatham. The Consumer Financial Protection Bureau was created by the Dodd-Frank Act with the intention of overseeing consumer protection. Our Founders meticulously designed three branches of government so that too much power would not be concentrated in any one branch. The negative consequences and impacts of the President’s healthcare law continue to manifest themselves, with new and different problems. As each day goes by, we continue to learn more about the Administration’s misleading details regarding its arrangement with the Iranian regime. It has been more than two years since then Secretary of Veterans Affairs Eric Shinseki resigned amidst the height of an agency scandal. Congressman Robert Hurt released the following statement announcing that Denise Van Valkenburg will serve as District Director. This week, the House acted in an effort to alleviate burdens and cut through red tape standing in the way of our Main Street businesses’ access to capital. The House passed HR 5424, the Investment Advisers Modernization Act of 2016, in a bipartisan 261-145 vote. We have seen time and time again how federal government overreach harms local governments and their communities. Washington policies have real and often painful effects on Fifth District Virginians, and the implementation of the President’s healthcare law is a prime example of such. A new study released last week found that since the inception of the Obama administration, it has issued an average of 81 major regulations per year. News and developments both at home and abroad this week gave us further evidence demonstrating that a foreign and national security policy based on appeasement and half measures makes us less safe. Last month, the Congressional Budget Office (CBO) released its long-term budget outlook report, which showed our national debt increasing to 141% of GDP by the year 2046. As we grieve the loss of police officers in Dallas and Baton Rouge, our nation is reminded of the responsibility shouldered by police. I had the profound honor of attending the annual 4th of July celebration at Thomas Jefferson’s Monticello. When the Founders signed the Declaration of Independence on July 4, 1776, they risked all they had for this budding nation. In the early morning hours on Sunday, June 12th, we were struck with the worst domestic terrorist attack since September 11, 2001. This past week, Congressman Jeb Hensarling, Chairman of the House Financial Services Committee, introduced a robust plan to replace the Dodd-Frank Act. The Supreme Court unanimously ruled in favor of landowners, allowing challenges to federal regulatory decisions affecting personal property rights. As we observe Memorial Day, we remember with gratitude all of those brave men and women who have defended our great nation. The House of Representatives will be considering the National Defense Authorization Act (NDAA) for this year. The House voted to approve a bill that ensures startup companies can connect with angel investors without inadvertently violating SEC rules. President Obama’s foreign policy fails to address the threats facing the United States and our allies. Virginians remain troubled by the reports of IRS official’s misconduct, and the American people deserve accountability and answers. On March 22, 2016, as hundreds of innocent travelers in Brussels, Belgium began their day, they unknowingly became victims of another unspeakable attack by ISIS.